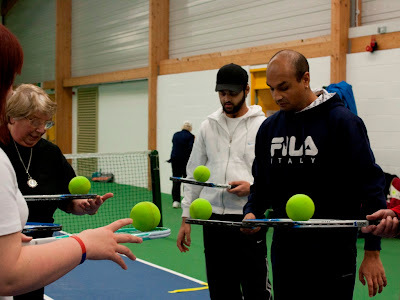 Anyone inspired by the feast of tennis shown at the London 2012 Olympic Games and Paralympic Games or Andy Murray’s history-making success at the recent US Open should head to the John Charles Centre for Sport this weekend to have a go themselves. Running from 11:30am to 1:30pm on Saturday 29th September, the Tennis Centre at the John Charles Centre for Sport will be playing host to a free tennis taster session open to people of all ages and abilities. 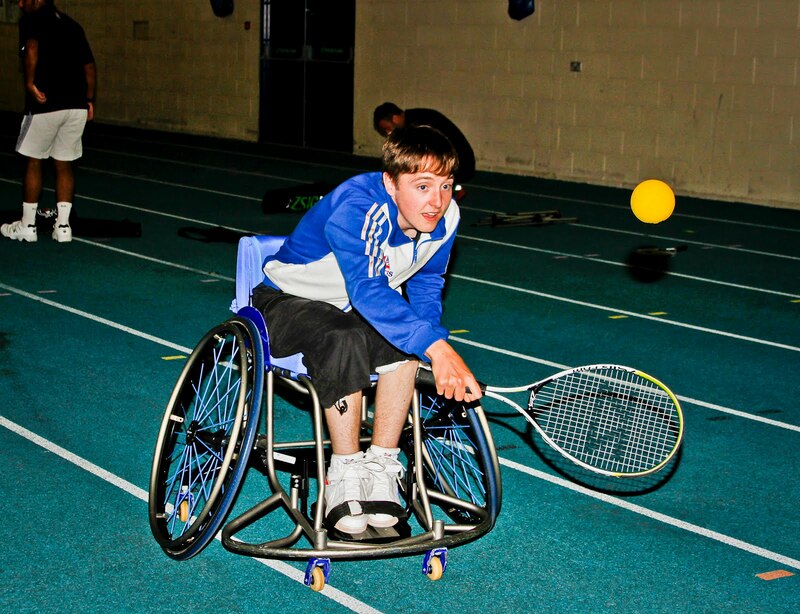 Organised by Leeds City Council and the Leeds Disability Sport Youth Panel, the session is open to all but with a particular focus on wheelchair tennis – as seen at the London 2012 Paralympic Games – and visually-impaired tennis, the newest version of the sport. The session will cater for people of all abilities from complete beginners upwards, with qualified coaches on hand and all equipment provided. 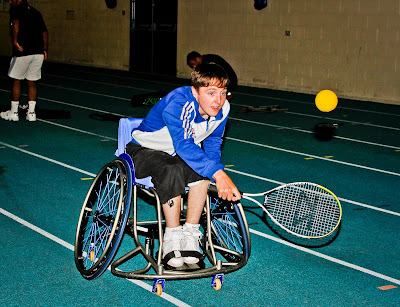 The session offers the ideal chance for disabled children, young people and adults to play, with tennis wheelchairs and specialist equipment available for those with a visual impairment. The John Charles Centre for Sport runs all types of tennis weekly at the Tennis Centre including wheelchair tennis and visually-impaired tennis sessions, one of the only places in the country to do so. For more information on disability sport in Leeds visit www.leeds.gov.uk/disabilitysport or call Leeds City Council’s disability sports officer Ross Bibby on 0113 395 0159 or by e-mailing ross.bibby@leeds.gov.uk. Britain’s Andy Murray was one of the stars of the sporting summer, winning gold and silver medals at the London 2012 Olympic Games before ending the 76-year wait for a British player to win a men’s singles grand slam title with victory in the US Open in New York earlier this month. He also finished runner-up at this year’s Wimbledon. The Leeds Disability Sport Youth Panel is one of six disability sport projects in Leeds to be awarded a London 2012 Inspire Mark which recognises innovative and exceptional programmes and activities around the country that are directly inspired by London 2012.